Award-winning luxury private pool villa resort, Al Baleed Resort Salalah by Anantara, has launched a new wellness programme featuring a unique ‘a la carte’ concept. ‘Balance Wellness by Anantara' is designed to offer a transformative travel experience in the heart of one of Oman’s most stunning destinations. Nestled between a spectacular private beach and freshwater lagoon, Al Baleed Resort Salalah by Anantara allows guests to pursue their well-being goals in a serene, idyllic environment. Delivering wellness packages tailored to each guest, the programme kicks off with a consultation to ascertain the needs and goals of the individual. Depending on the length of the stay, guests can then choose from a wide array of healthy cuisine, as well as activities, and therapies to suit them based on guidance from trained experts. One highlight of the wellness programme is experiencing Al Baleed Resort Salalah by Anantara’s luxury hammam, the only one in the region. Drawing on centuries of Arabian wellness – the ancient ritual starts with a muscle-relaxing steam bath in preparation for a black soap cleansing and kessa mitt exfoliation to sweep impurities. Once steamed and scrubbed, a Moroccan Rhassoul treatment richly nourishes and rehydrates, leaving the skin silky soft. 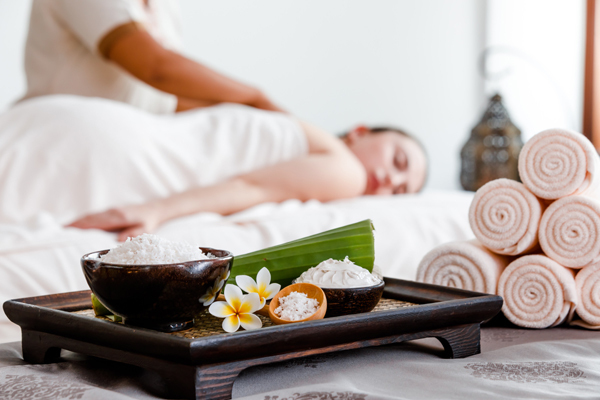 Other healing therapies include Kundalini massage and Shirodhara - a unique Ayurvedic therapy focusing on the head, to harmonize the entire body.